M.Tech. (Electronics & Comm. Engineering ) M.Sc. (Chemistry) M.Com. Kurukshetra University will conduct centralized online counseling for admissions in B.Ed Regular Course for the Academic Session 2016-2017 for the State of Haryana. To apply for the KUK online admission for B.Ed (Regular) Session 2016 candidates can visit kuk.ac.in any of the website on or before the last date. Keep the Application number and Password safely and take a printout of the application and bank's challan showing the fees to be deposited in your chosen bank. 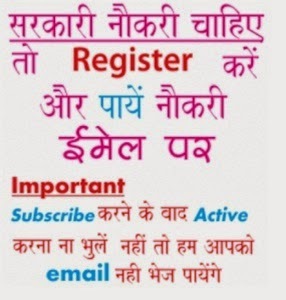 Application fee: Rs 1000/- (For general candidates) or Rs 625 (For SC, BC and PH candidates who are Bonafide residents of Haryana) + Rs 10 as bank charges can be paid through fee challan which can be obtained at the end of registration and can be at any branch of OBC bank, ICICI bank and PNB bank. N.C College of Engineering offers Scholarship to Meritorious students based on their Academic Performance in the Qualifying Examinations. Scholarship is awarded for the complete duration of the course. For details regarding admission procedure and submission of application form contact at the below mentioned address………………………….